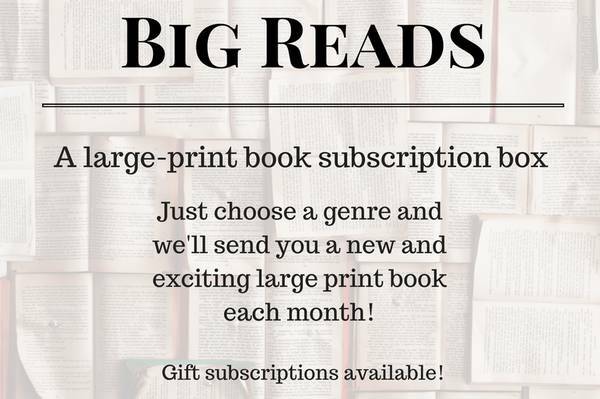 Enter your email address below to receive a notification when Big Reads starts accepting new sign-ups! 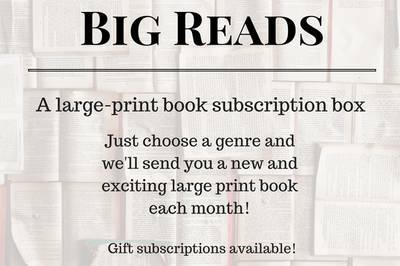 Enter your email address below to receive a notification when Big Reads is accepting new sign-ups again. You choose the genre, we choose the book! Each title will be a surprise to you (like getting a present in the mail!) and a recent large print publication. This is an excellent subscription to gift to a family member or friend who you don’t get to see very often. 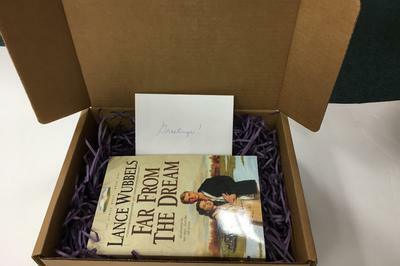 We're happy to include personalized notes from you to your loved one in each box.